It was a good Christmas day, time off to celebrate, to socialize, to cook. Today, I’ve throttled back, catching up with some reading, a little bit of walking, and some last minute shopping. And even that has further degenerated to mere movie-watching and web-surfing over the last of the eggnog. A few folks asked about how to remotely wipe their Android phone or tablet if it gets lost. The key is the Android Device Manager: it lets you ring, lock, or wipe your unit from afar. The browser controller is here, and you need to install the app onto your devices from Google Play. The big-box Target chain had their credit card systems hacked, releasing tens of millions of customer accounts into the wild. It’s re-opened a debate about requiring chip-and-pin technology to be used in the US. The enhanced cards are common in Europe, along with the wireless point-of- sale terminals that haven’t made it across the Atlantic either (along with electronic cash transfers between banks). It made me think again about how innovation succeeds: a technology filling a new niche seems readily adopted, but any substitution for an existing product really struggles. In the absence of some regulatory push to level the field, all of the market leaders join shoulders against it. ‘checking the Dutch News, I was pleased by the King’s speech, and his perspective on how people are defined by their relationships with other people through work, family, and society. I was intrigued by Niels Mathijssen’s essay on whether it’s right for regional Holland-culture to define national culture for the Netherlands. And I was concerned by a new proposal to require seven years of residency rather than five before granting permanent residency. Philip Cohen has been chronicling the ways in which media, and Disney movies in particular, magnify gender differences. In this article, he focuses on wrist size, which narrows to the point of being smaller than the character’s eyes in the new animated film Frozen. The accompanying graphs and pictures are perfect illustrations. 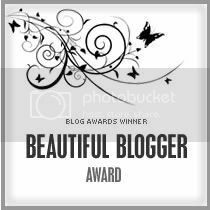 Congratulations to the winners of this year’s Expat Blog Awards! With a good percentage of ‘old hands’ unfortunately repatriating each year at about this time, it’s a good opportunity to explore some new voices and add them to your feed. I’ve been catching up with the Sinica podcast, a weekly broadcast about current events in China from a resident-expat perspective. It reminds me of how much there is to be aware of in the culture, politics and arts of our adopted countries. The recent episode, Contemporary Artists in China, made me think about how little I know about current Dutch artists. What are their innovative techniques, guiding perspectives, or leading ideas? Who are the current up-and-comers, and where are their works being shown? A good introduction appeared in Modern Edition, highlighting a number of visual artists – Marijn van Kreij was intriguing, his works (above) take some thought but have the straightforward whimsical challenge that I might have expected of Dutch works. And, finally, the stock market suffered another anomalous event the other night, with the S&P futures spiking down just past 10 pm. The sudden move apparently tripped all sorts of automated stop/loss orders, accentuating the move. The source, whether a ‘fat finger’ or market manipulation, hasn’t been determined. What is sure is that the quants behind the programs haven’t yet got full control of their creations. Market investing increasingly feels like more of a loser’s game than it was 15 years ago.